2014 is the first year of the Individual Mandate that all Americans have health insurance. This provision is part of the Affordable Healthcare Act passed into law in 2010. During the preparation of your federal income tax return we will need to see evidence that every member of your household reported on your tax return is covered by health insurance for 2014 and that the insurance met Minimum Essential Requirements of coverage. This is generally deemed to cover 60% of the cost of your healthcare. If you purchased your health insurance through the federal or state healthcare exchange, you should receive a Form 1095 A from the exchange by February 29, 2015. In future years, all providers of insurance will be required to provide those covered with a 1095 A (from the exchange) 1095 B (from the private insurance company) or a 1095 C (from large employers). However the Affordable Care Act established statutory exemptions from the individual shared responsibility payment when the taxpayer experiences “hardships” preventing them from being able to purchase health insurance coverage. The Affordable Healthcare Act has placed many requirements on taxpayers but the requirements do not stop there. 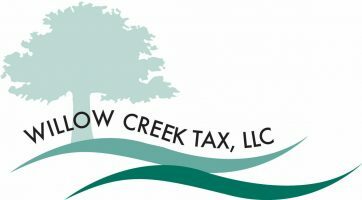 As your tax professional I am required to conduct sufficient due diligence to determine your coverage is sufficient to not warrant the penalty assessed by the Healthcare Law. Your return will require additional time and computation with more than six new tax forms added to the filing for 2014. Without question, return preparation time and cost will be increased as well as time to consider all the aspects of how the Affordable Healthcare Act will impact you.